Ahead of this weekend’s title clash between Canelo Alvarez and Rocky Fielding, DAZN are proud to release the second installment of their original episodic program, THE JOURNEY: CANELO/ROCKY. Go behind the scenes as the two fighters prepare for a historical event at legendary Madison Square Garden. 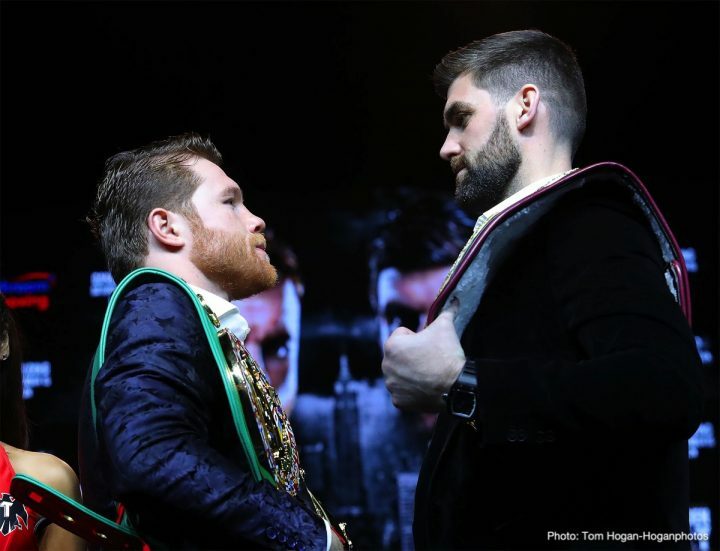 As the sports world prepares for the Dec. 15 super middleweight championship fight between Canelo Alvarez and Rocky Fielding at Madison Square Garden, DAZN will introduce its first original episodic program, THE JOURNEY: CANELO/ROCKY. The show will bring fight fans behind the scenes as both fighters prepare for this historic event. The series premiere will debut on DAZN’s platform and YouTube channel on Thursday, Dec. 6. Fresh off his middleweight victory over Gennady “GGG” Golovkin, WBC, WBA, Lineal and Ring Magazine Middleweight World Champion Canelo Alvarez (50-1-2, 34 KOs) steps up to 168 lbs. to face Rocky Fielding(27-1, 15 KOs) on Saturday, December 15. Broadcast live from the historic Madison Square Garden in New York City, boxing fans can catch all the action in their local cinemas as Canelo challenges Rocky for his WBA Super Middleweight World Title in what is certain to be a thrilling 12-round main event.